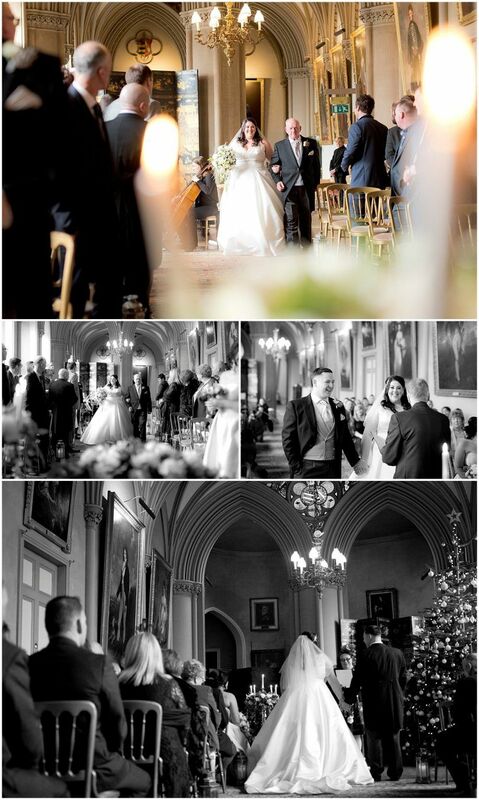 A Winter Belvoir Castle Wedding with Kelly & Kyle. 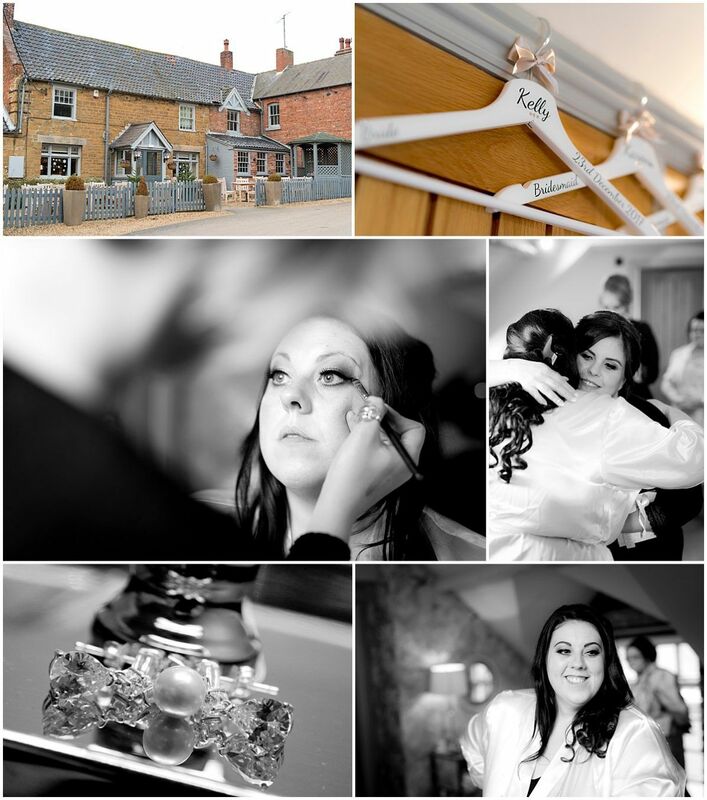 Here’s the highlights from a lovely Belvoir Castle wedding with Kelly & Kyle. 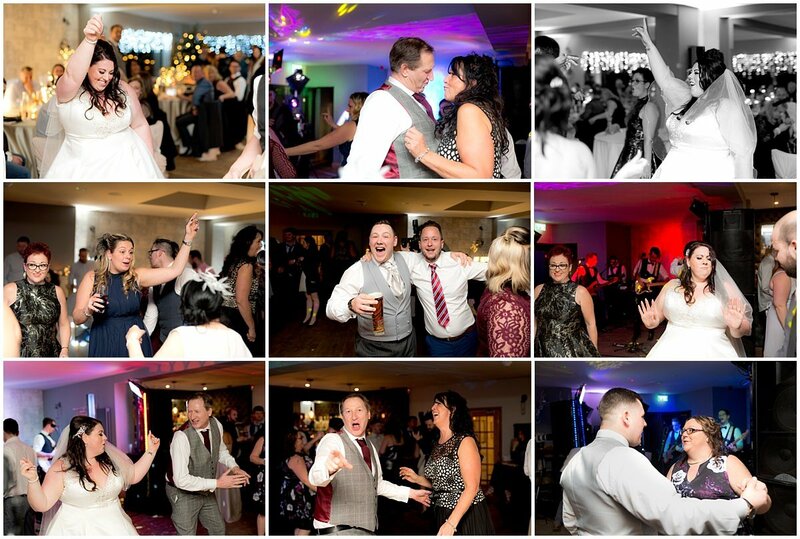 This would be my final wedding of 2017 and it was great to see the year out on a high! 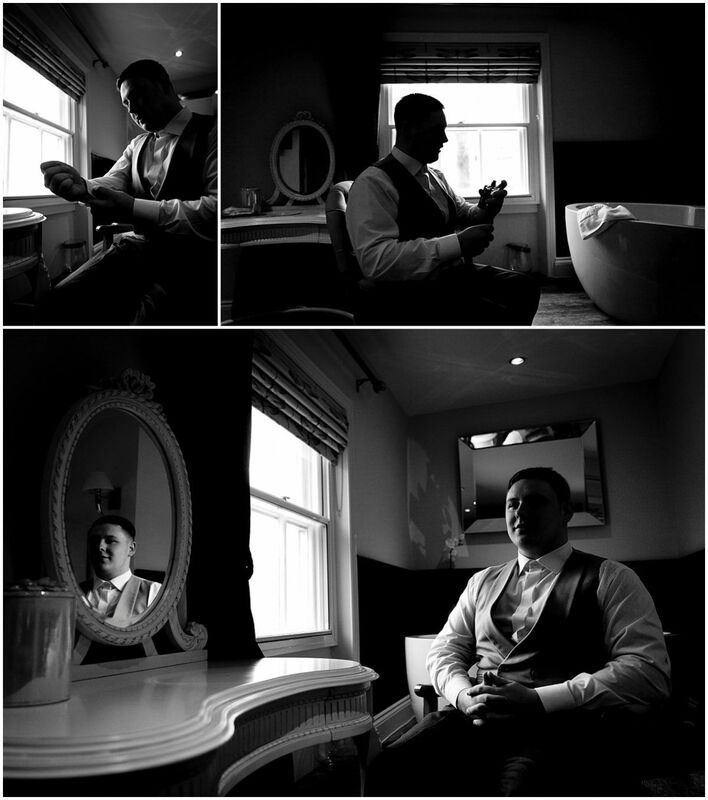 Kelly & Kyle had booked me about 2 years in advance so by the time of the wedding, it was great to see everything unfold. 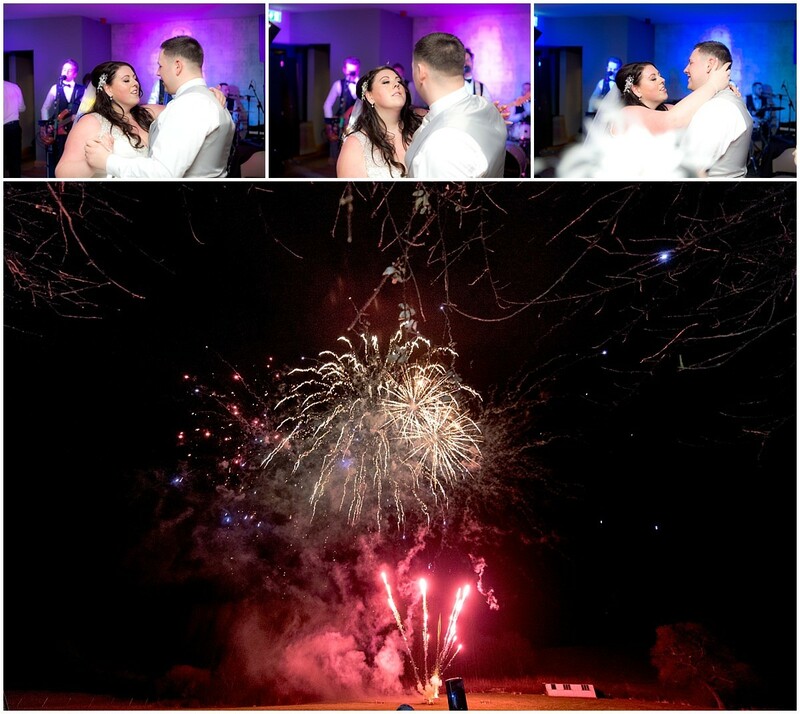 To summarise what was a fantastic day and night we had a bit of everything, Including.. An epic castle ceremony, string quartet, an evening reception at Chequers, a mind reader and fireworks! We’ve been together for 9 years (to the day of our wedding) it all started with a drunken night in town for Christmas. At the end of the night my friend and I headed to the taxi rank with our chips and cheese in one hand and shoes in the other (as you do!.) After waiting in the freezing cold for what felt like forever, I got impatient and started ringing a few taxi companies. I had almost given up and started to walk home when eventually somebody from one of the firms answered. That someone was Kyle. He worked part time taking taxi bookings and sounded a bit grumpy so I thought I would try and cheer him up (or should I say chat him up.) He should have finished his shift an hour before and had pulled the short straw for overtime. So, there I was rambling down the phone in my drunken state, he didn’t sound too impressed but it didn’t stop him keeping my number! We met up the next day, clicked and got it off straight away and here we are today! 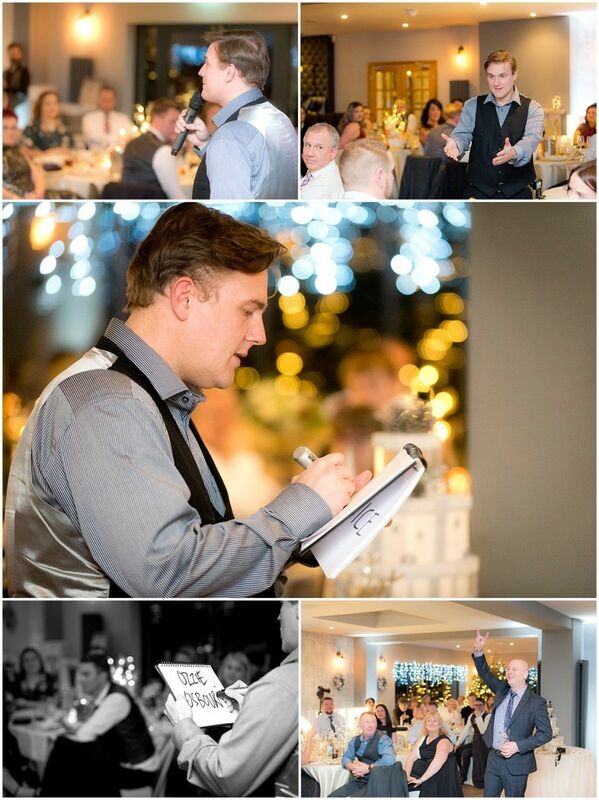 Kyle tried to propose a couple of times but it had all gone wrong due to unforeseen events and circumstances. 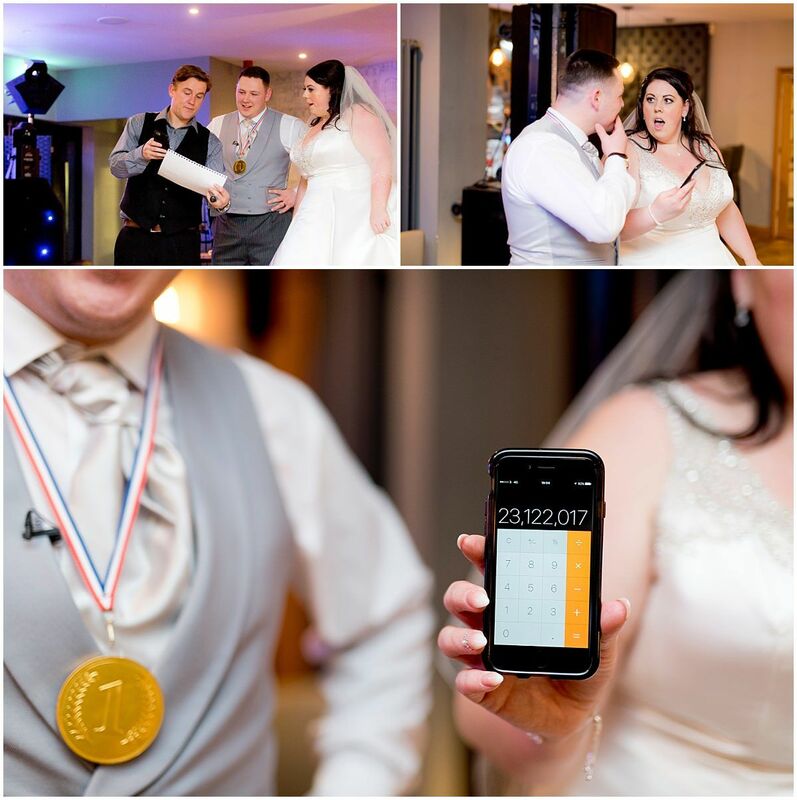 Kyle had originally planned to propose in 2013 whilst on holiday in Zante (unbeknown to me), but this didn’t happen for one reason or another. We loved Zante so much that we planned to go again in 2015. Kyle had planned to propose this time around on the stage of our favourite nightclub being the elaborate character that he is! However he had panicked so much about me finding the ring/him losing the ring/having to wait for almost a week in to the holiday for this event and he knew he wouldn’t be able to relax in the meantime. So he decided to propose the night before we flew. He buried the empty ring box in his suitcase so that I would find it when I went to pack. He followed me up the stairs and waited around on the landing until I found it. Much to his frustration I was packing around the box which I hadn’t really noticed!! Eventually he asked me if there was anything in the case that shouldn’t be there. I noticed the box, took it out, panicked and started throwing it around like a hot potato… I walked right up to him and boxed him in to a corner, giving him no space to get down on knee. I don’t know what I thought he was going to do but I didn’t expect a proposal. Certainly not like this in my tatty pj’s with my tea stains, wearing yesterdays make and a birds nest in my hair and on the LANDING!! He asked me to open the box which was empty and as I did he pulled the ring out of his back pocket and when I looked up there he was, he could barely get there words out as we were both so emotional but eventually he did and I accepted. By this point it was 11pm in the evening and we were due to fly at 6am so we stayed up for the whole night just so excited. We flew off to Zante and had a fantastic holiday to celebrate our engagement and by the time we got home we had all our supplier appointments and plans in place and the wedding planning commenced straight away. 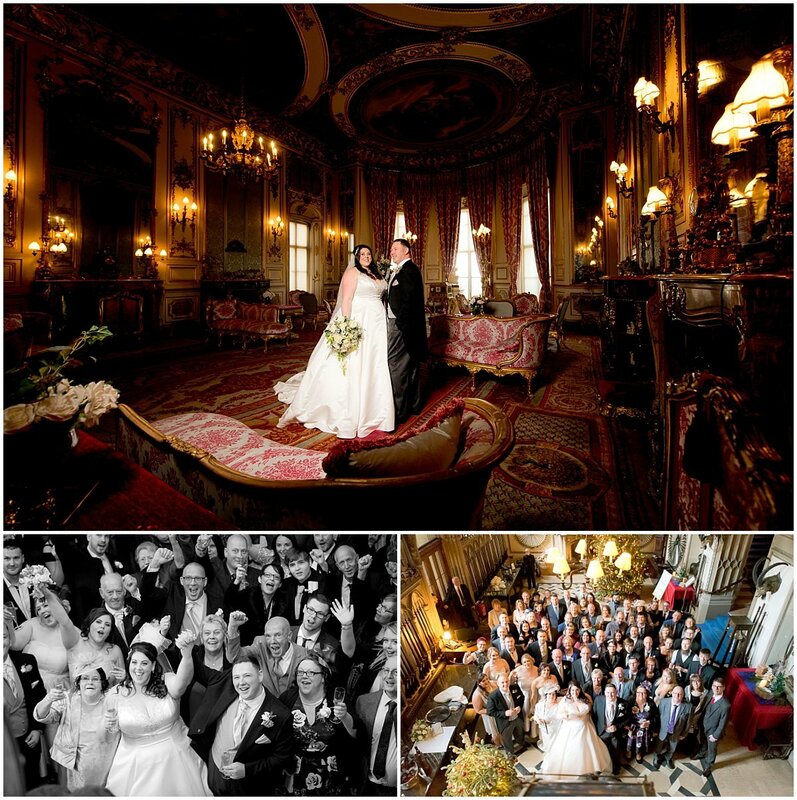 I Always dreamt of a Belvoir castle wedding from the day I saw Gareth Gates’ wedding pictures in OK magazine! 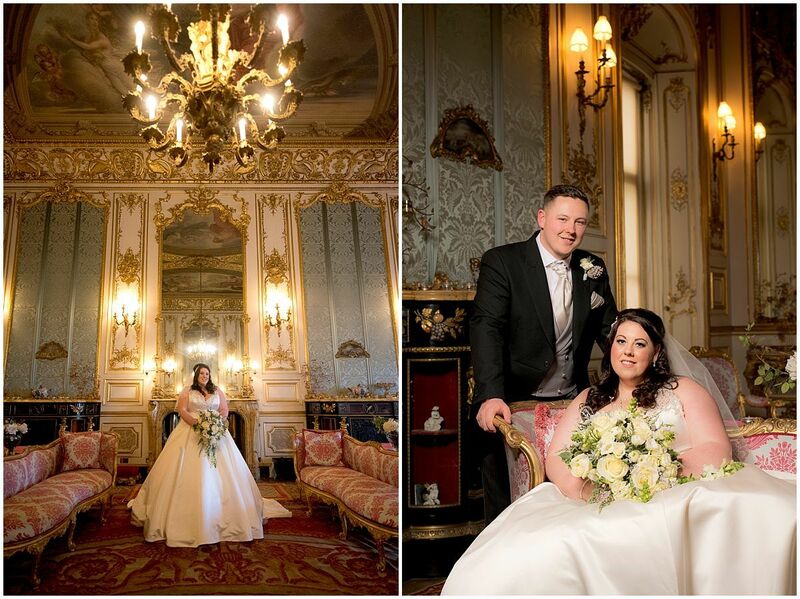 Mnny times I said to my mum ‘ Wow just look where Gareth Gates has got married it amazing!! 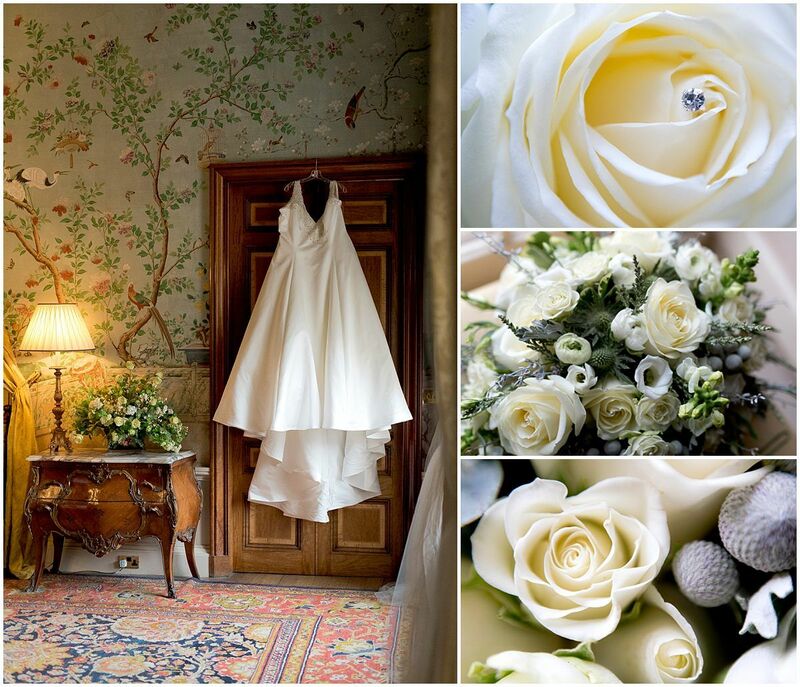 I’m going to get married there…” So 10 years later I did just that. 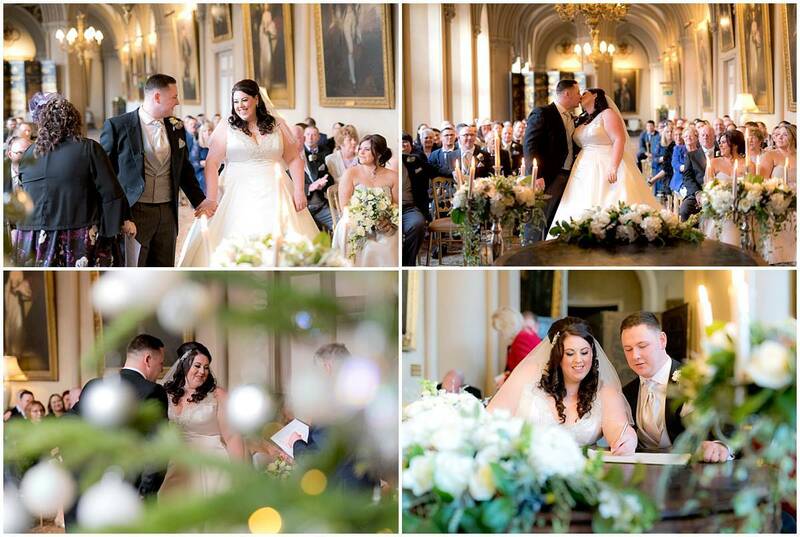 When me and Kyle first started discussing our wedding plans I showed him the venue and he instantly fell in love with it too (he does like to think of himself as lord of the manor) As soon as we got engaged we booked a consultation at the castle. Deep down we knew that it was possibly just an unrealistic dream of ours but we were determined not to let anything stop us from fulfilling it. 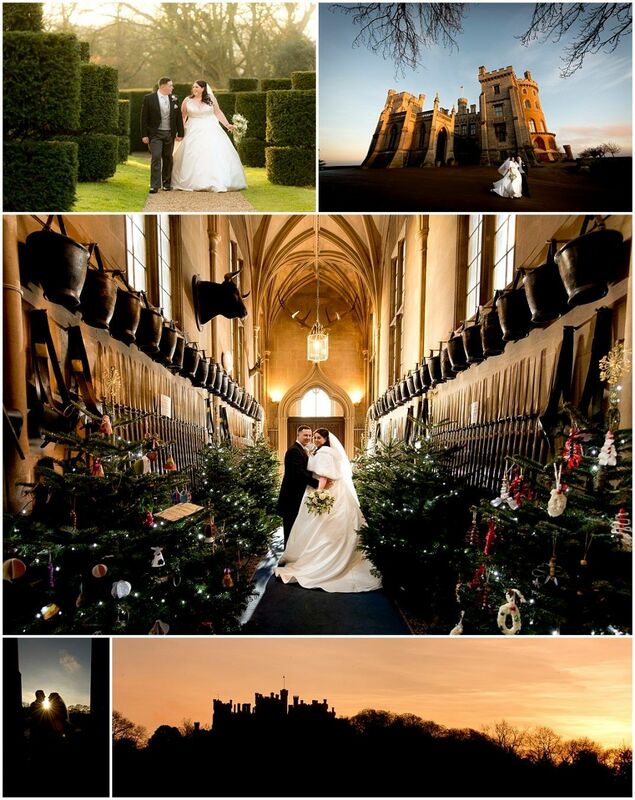 When we got there the castle was even more breath taking than the pictures and we immediately knew that it was the venue for us. When we went inside it was all decorated for Christmas and it really did feel like something out of a fairytale. The staff were so welcoming and really wanted to help make our dreams possible for us. 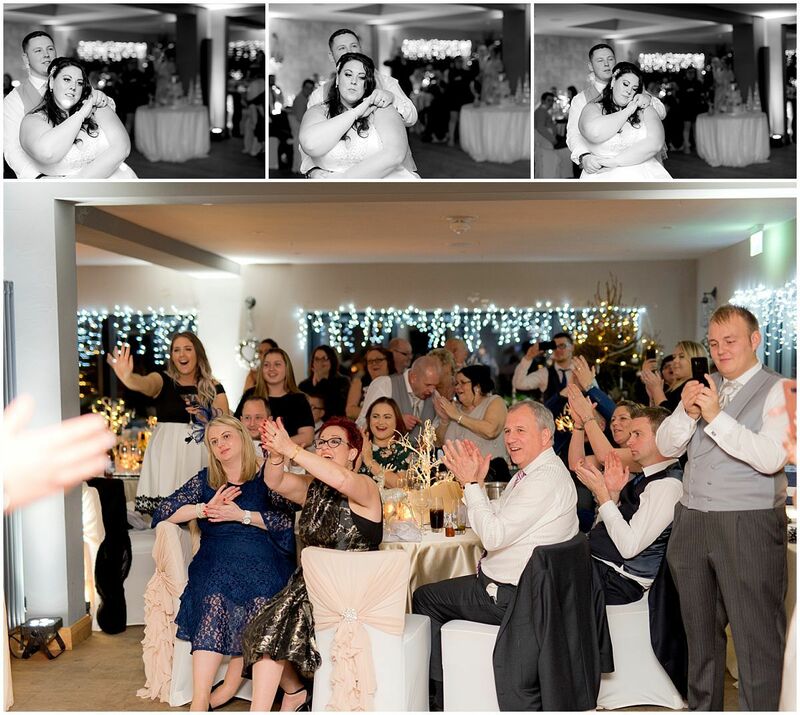 We decided to have our reception at the chequers as it was more affordable to do so and we wanted a really warm, cosy feel for the wedding breakfast/reception. The chequers offered this and also has accommodation, a large cricket field for our fireworks, and a slightly more relaxed feel for the evening reception which ticked all of our boxes. 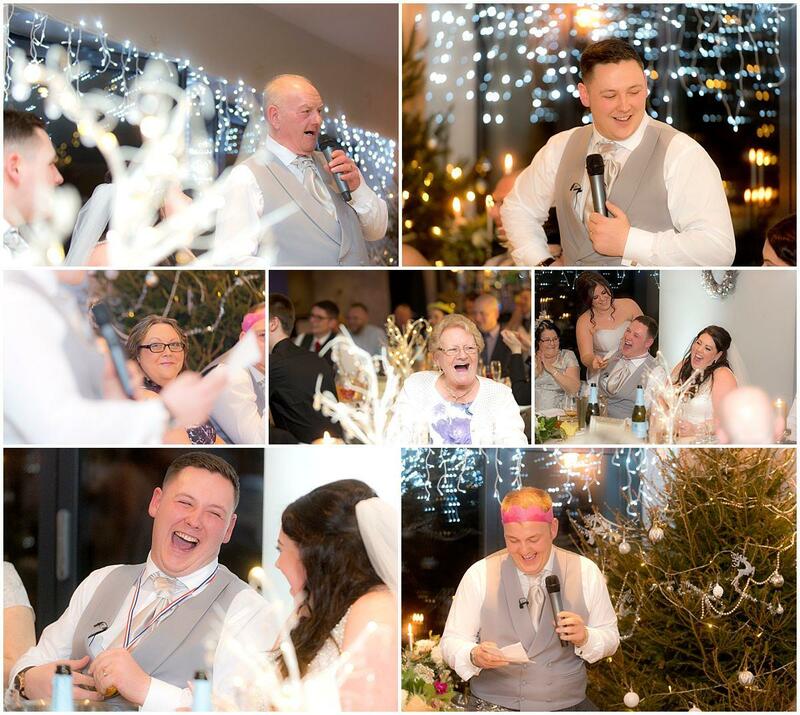 A Christmas wedding was always a must for us. 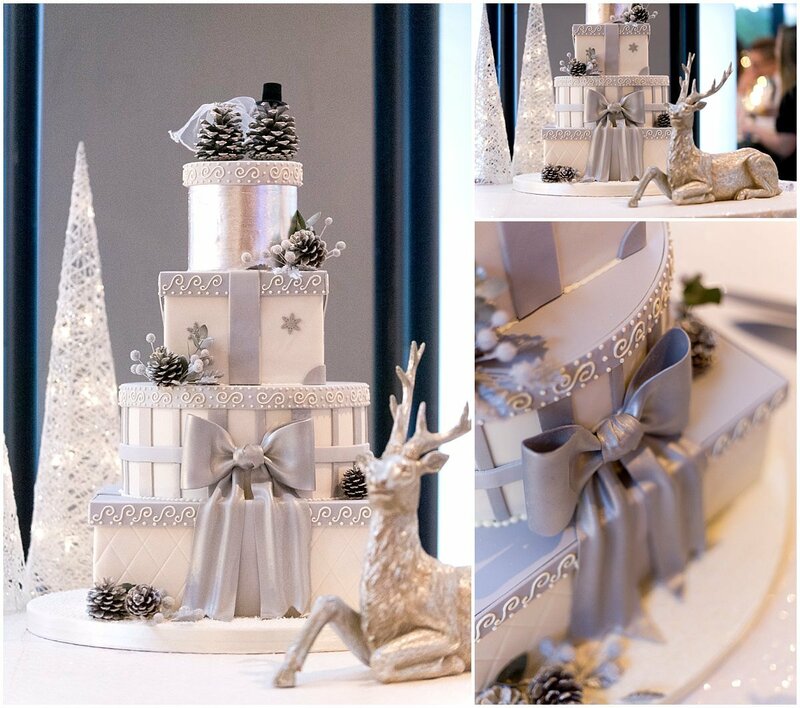 We love that time of year and really wanted to make our wedding as festive and Christmassy as possible. 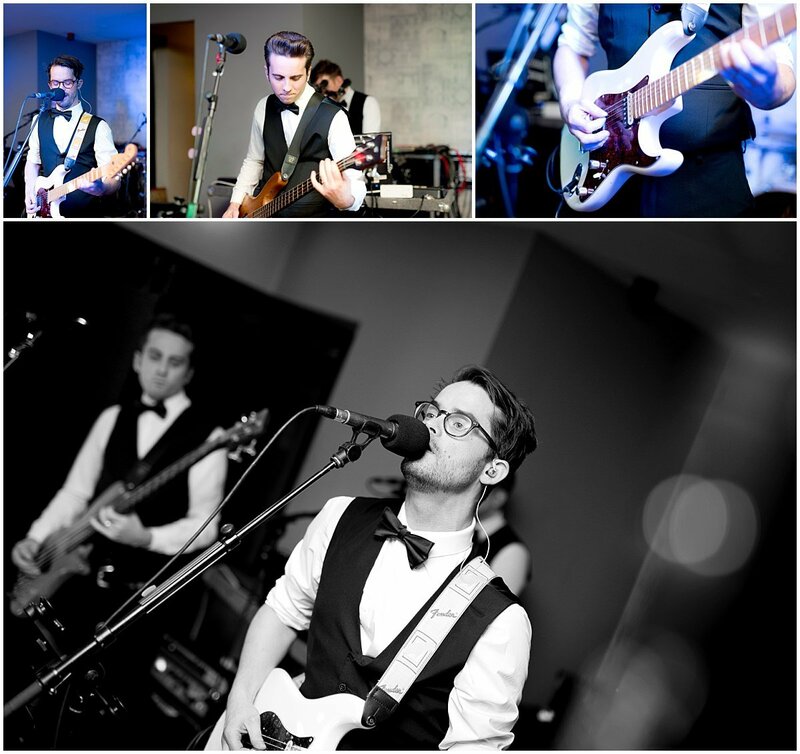 We wanted to steer away from the traditional Christmas colours (Red, white, gold, green etc). 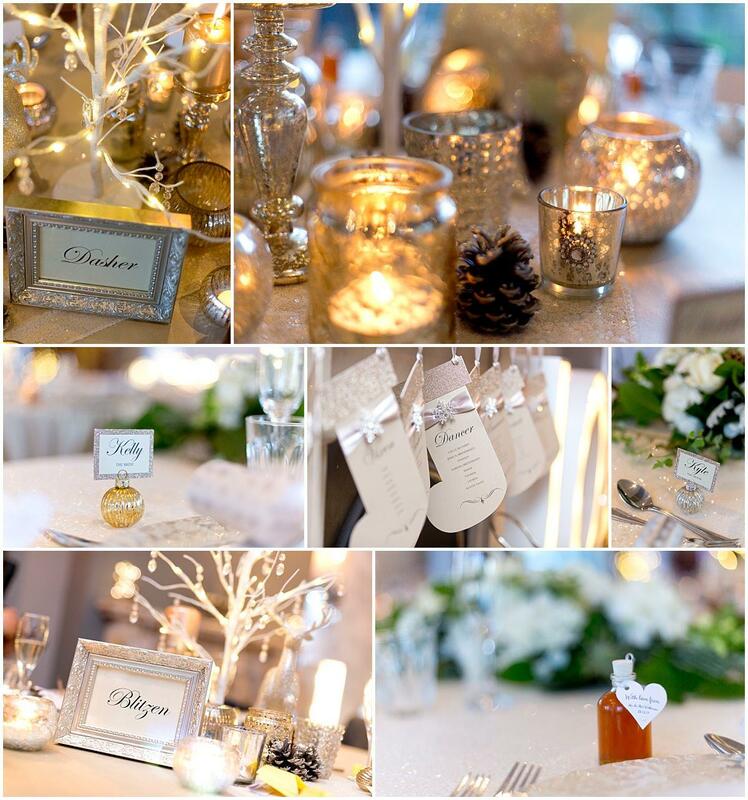 Myself and Kyle both love the woodland theme so decided to go for glamorous Christmas woodland with lots of pewter/champagne tones to give warmth and glamour, whilst incorporating pine cones, stags etc. Our ideas for our theme were endless. I think we could have gone on planning forever! 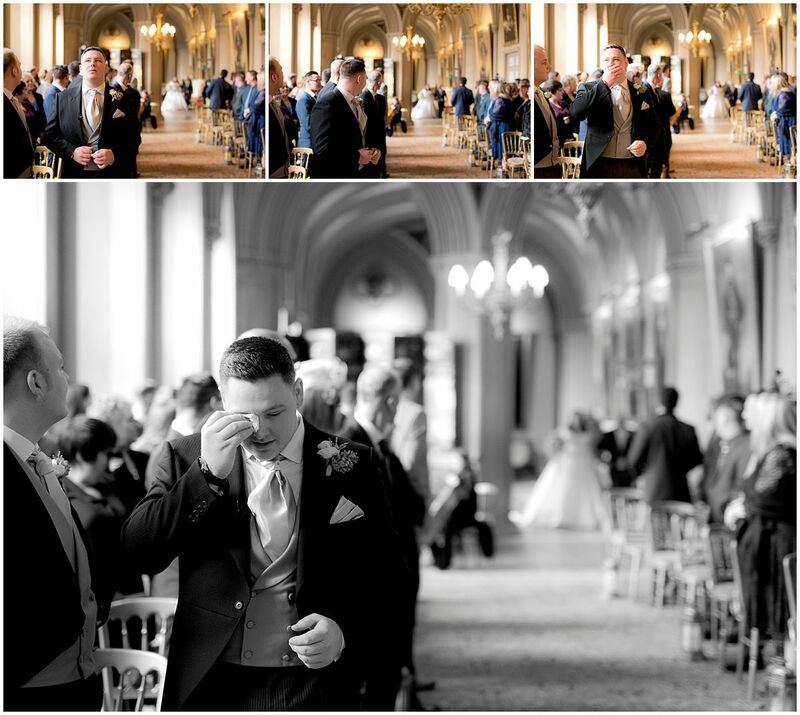 Our wedding ceremony and seeing each other at the alter. 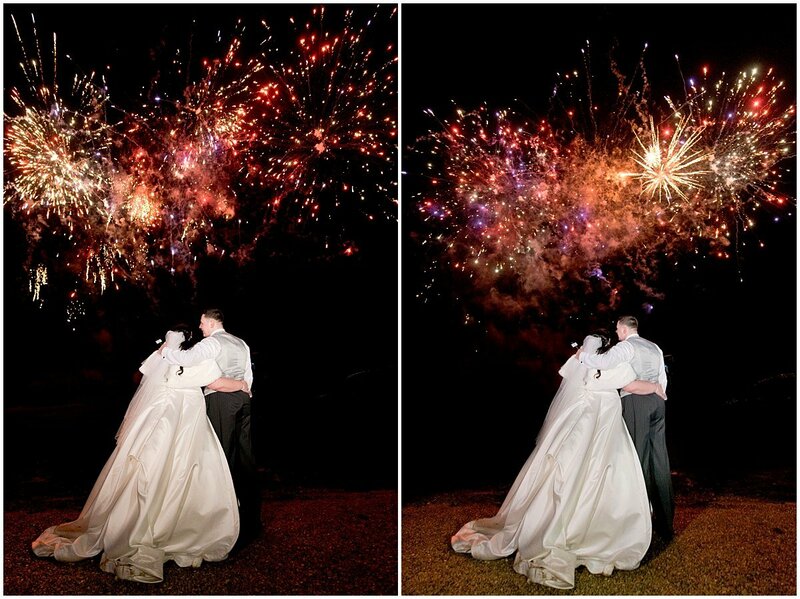 Our amazing firework display just ended our day perfectly. 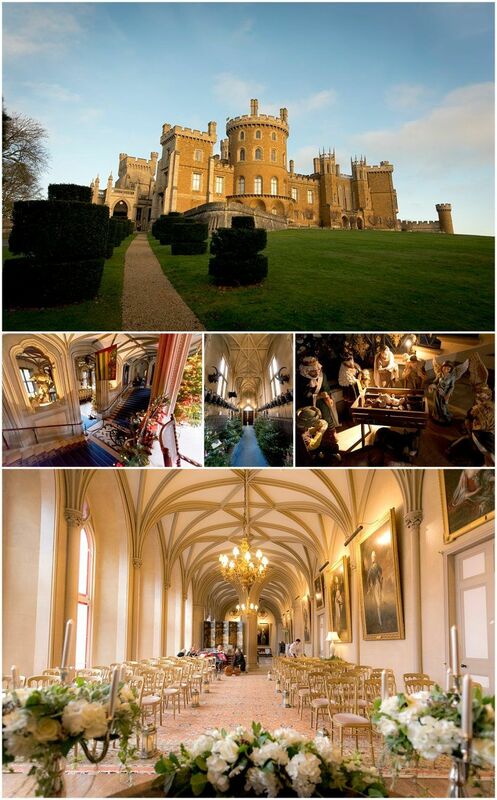 The magical setting of Belvoir castle as we walked down the long staircase to our guests just took our breath away. Do exactly what you want and not what pleases others. The day is not a rehearsal. No matter how big or impossible your dreams may seem, you can do anything you set your mind to so don’t let anybody talk you out of it. People will have lots of opinions and people who you think are close will show their true colours but try not to let it weigh you down and focus on each other. Those that want to be there will be and those that don’t, don’t matter. 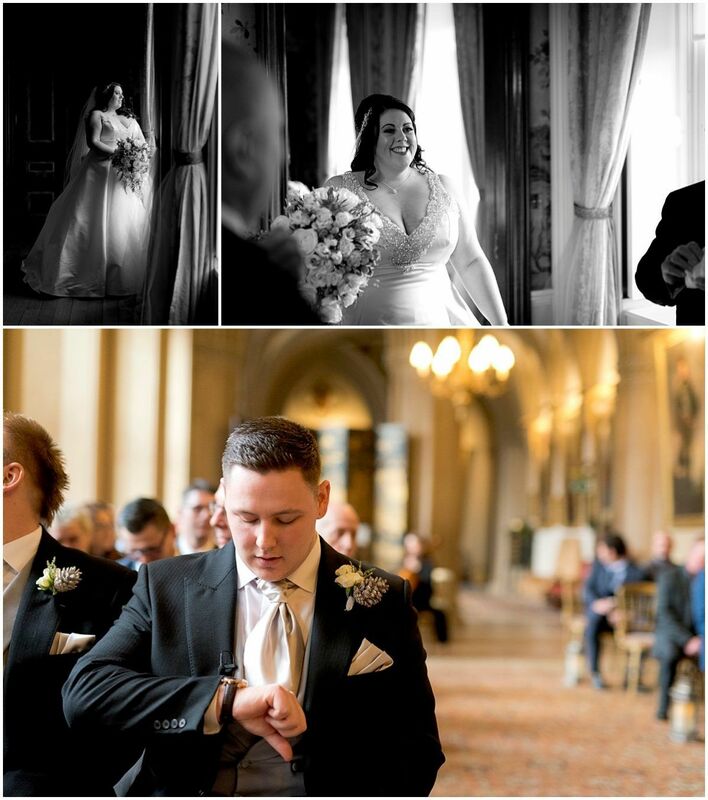 Thanks for viewing the highlights from Kelly & Kyles Belvoir Castle Wedding. If you found this post useful do spread the love & like/share. 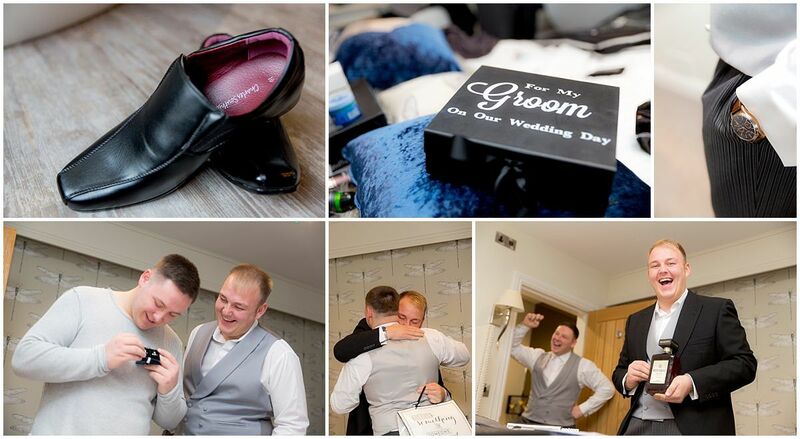 Beautiful pictures of an amazing day! These are the photos that couples love, and are so professional. I’ll be promoting you to clients.